Even in this age of conglomerates and chains, the family business still functions as the backbone of the American economy, representing 50 percent of the GDP and creating 60 percent of jobs in America. But the family owned business isn’t always a “mom and pop” model of simplicity and warm, fuzzy feeling; as Forbes points out, they often harbor “intimate histories and complex cultures.” In fact, only a third of all family businesses transition without incident to the second generation. Such turbulence underscores why a solid “exit strategy,” or business succession plan, is vital. Whether it’s an event on the distant horizon or fast approaching with retirement, a business succession plan can be fraught with complexities, financial ambiguity, and/or gut-wrenching emotions, especially when business owners put off making key decisions out of discomfort or even denial. Develop vision, goals and objectives. Ask the tough questions, ideally at least five years in advance: What kind of legacy do you want to leave; and how can successors build upon it? When would retirement ideally occur? How important is it for the business to stay in the family? Is it worth breaching the family circle for the sake of bolstering the company with outside expertise? Establish and openly communicate the plan. Treat it like any other business plan. Seek family and company input, share the plan with employees, specify each individual’s roles and responsibilities, and revisit the terms periodically as circumstances, including tax laws, change. Find a team of trusted advisors to help. 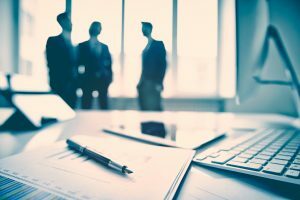 Business succession plans involve estate planning, tax issues, money management, and other nuances; so you’re best served tapping the collective knowledge of experts who coordinate with each other. The complexities of tax assets can be as damaging to a business succession as family discord, so a tax expert is critical to smooth transition. And remember that when it comes to valuation, objective third parties’ numbers tend to carry more weight with potential buyers, including internal successors. Naming a successor to take your place—inside or outside the family – is the best way to ensure that your legacy remains and your business thrives long after you’ve exited the building. Creating a robust business succession plan demands the insight of trusted, experienced advisors who have comprehensive tax knowledge and experience in family business succession. At our firm, we understand that your business is unique—and your succession plan should be, too. Visit www.tysllp.com to see how we tailor solutions built upon our unique and comprehensive expertise.